On Friday 14th August NI NBA Chairman Stephen Heenan attended the Greenmount bursary fair along with Rosie McGowan. It is the first year that the NBA have decided to support the bursary scheme, offering £1000 to an individual studying in their first year of either foundation or degree level agriculture to assist them in funding their academic studies. 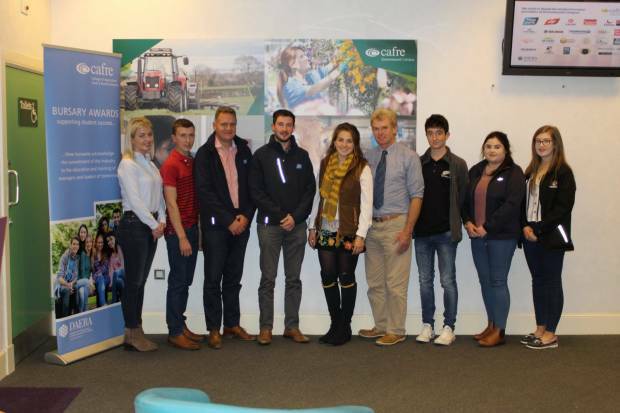 “It was a great experience to meet so many young and enthusiastic students, and to see the beef industry represented so well with bursaries provided from processors to genetics companies. With beef farmers becoming an aging population it is becoming ever important that we support the next generation and inspire them to become involved in our industry. We hope our essay question will make students think about the many different systems available within our varied supply chains and what key factors affect the bottom line.